Of all Kavinace products, Kavinace Ultra Pm is the one with the strongest sleep support. It has been manufactured with people facing serious sleep problems in mind. Part of its role is to support the production of melatonin, a natural hormone produced by the pineal gland, just above the brain. The melatonin is responsible for regulating the sleep-wake cycle while it has also been found to lower body temperature and blood pressure. That aside, Kavinace Ultra PM is a sleep product that supports GABA. 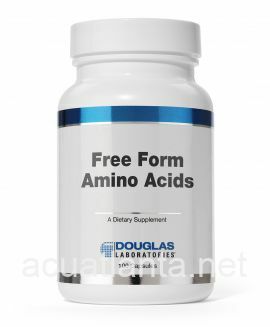 Gamma-Aminobutyric acid (GABA) is a naturally-produced amino acid that acts as an inhibitory neurotransmitter. One can say that GABA is the communication means among brain cells and also the brakes of the brain. Its job is to make sure the neurons’ activity in both the central nervous system and the brain is reduced. By doing so, the brain moves into lower gear and the body enters a relaxation stage with reduced stress (mental and physical alike), lower blood pressure, and a more calm mood. GABA’s effects also include pain relief and the promotion/improvement of sleep. So, it is no wonder that GABA is the target of anti-depressants, anesthetics, anti-seizure medications, and barbiturates. Low GABA activity can lead to memory problems, difficulty concentrating, depression, chronic stress, anxiety, headaches, insomnia, muscle pain, and sleep problems. Melatonin is a hormone that regulates wakefulness and can also be used as a medicine to help treat sleep disorders and insomnia. It is produced mainly by the pineal gland in the brain. The amount of melatonin produced is influenced by our circadian rhythm (our internal clock) and the amount of light we are exposed to on a daily basis. During daytime, the pineal gland is inactive but when it gets dark (somewhere in the mid-to-late evening), the gland in “turned on” and the melatonin levels start to increase (and remain at high levels throughout the night and until the first light of the next morning). When that happens, we begin to feel less alert and somewhat drowsy. So, melatonin is basically the hormone that tells the body that it is time to rest and rejuvenate. Lack of sleep, blood sugar imbalances, late nights, shift work, exposure to blue light, alcohol, stress, and electromagnetic waves are some of the leading causes of melatonin deficiency. Melatonin is not only a vital hormone regarding sleep but also for combating oxidative stress that damages the cells. Plus, it also influences the mood and immune system. Stress alters both GABA synthesis and the production of melatonin. In a randomized, placebo-controlled study, where participants were asked to take one capsule of Kavinace Ultra PM before going to bed for five consecutive days, it was found that the participants’ sleep quality was significantly improved (measured by the PSQI – Pittsburgh Sleep Quality Index). They all noticed a decrease in sleep disturbances while also falling to sleep more easily and enjoying longer periods of sleep. Important Note: The statements mentioned above have not been evaluated by the FDA. Kavinace Ultra PM is NOT intended to prevent, cure, treat, or diagnose any disease. 5-HTP or 5-hydroxytryptophan (from Griffonia simplicifolia seed extract)– It is the immediate precursor of serotonin. It supports the production of a hormone called serotonin, which is secreted prior to the production of melatonin. 4-amino-3-phenylbutyric acid (GABA derivative) – It acts as a GABA agonist and crosses the blood-brain obstacle with relative ease. Melatonin - is a hormone that regulates our sleep-wake-sleep cycle and is produced in the pineal gland. 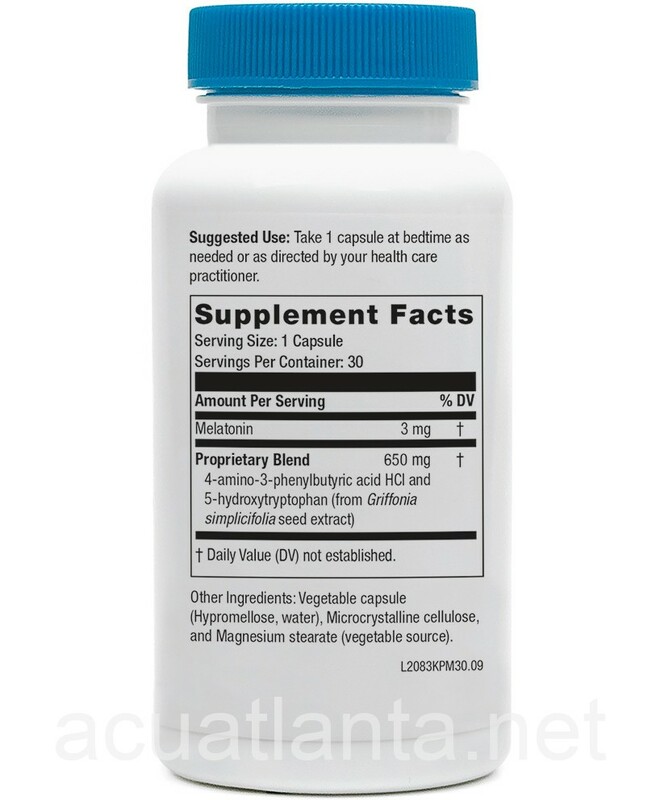 Each capsule also includes water, hypromellose, a vegetable source of magnesium stearate, and microcrystalline cellulose. Consult your Healthcare Practitioner before use if you are nursing or pregnant. Note: Take one capsule before bedtime or unless otherwise advised by your healthcare practitioner. NeuroScience is a professional-grade dietary supplement company that offers proprietary blends of amino acids, minerals, vitamins, and botanicals, to support the neurotransmitters of the nervous system. Part of the company’s core beliefs is that health can be maintained by cooperation between the immune, endocrine, and nervous systems. Their products are provided only to licensed healthcare providers. I buy this product over and over. It truly allows me to sleep well without any hangover feeling in the morning. I highly recommend it. This was recommended by my doctor for sleep and it makes a big difference when I don't take it. Great combo of ingredients provides good, deep sleep. I use Kavinace Ultra PM to help me sleep better. It has been a great transition from prescribed sleep meds. I have been very happy with this product. Its a great product to use and insure sleep at bedtime. Even if your sleep is interrupted, it is easier to fall back asleep. I would highly recommend this product. If you are unsure of it's safety, you can rest assured it safe and non-habit forming. Try some for yourself! Kavinace Ultra PM Is amazing! I take one every night right before bed especially if I want to make sure I get a full nights sleep. I love it because it's all natural. kavinace ultra together w/calm prt, both by neuroscience, are the only supplements that work for me. after a couple of weeks i do need to go off them for a few days because they stop working. This product is an essential element of my nighttime routine. It helps with insomnia - especially when I take it along with some Chinese herbs. I have been taking it for a long time. Because of cost, I am limiting myself to one capsule per night. Others have said they need to up the dosage for it to work. That's why I take some Chinese herbs. I bought this on the advice of my Functional Doctor. I can feel it start to relax me after about 30 minutes. I sleep well using it, and occasionally take 2 and definitely keeps me in a sound sleep when I do that! I love the fact that it restores balance within the body, and I do not wake with a "hangover". The ONLY downside is it's a bit pricey, but these folks have the best price around! LOVE this stuff! Helps to calm and give a great nights sleep. This is a very helpful product. I have tried many other things to no avail..and/or at least not liking the side effects. I recommend taking this a bit early... not just before bed, but it's not bad if you do either. Taking it earlier helps as this lasts long and you don't want to feel so cozy and relaxed in the morning that you want to stay put. Kavinace does not seem to have any unpleasant side effects. It helps me feel drowsy and drift off. It is not a "knock you out" kind of help. It is gentle but very effective for me. I don't toss and turn as much either. Even if I wake up in the night I realize that I have been sleeping soundly,which is good news and go back to sleep. I would buy this so much, as sleeping is difficult for me, but it is expensive. My sleep is necessary so I buy when needed. Perhaps if enough people discover how helpful this product is they will eventually lower the price. Love this product! Have always had trouble sleeping through the night, until now! I take one pill about an hour before bed and sleep soundly throughout the night. This product is something I will proudly endorse. I work in the Health and Wellness field and the manufacturing of nutraceuticals and have tried many things to help with my sleep issues. I have had a lifetime of diagnosed Sleep Apnea, Insomnia and Obsessive Compulsive Worry Disorder that results in horrible sleep patterns. Ever since I was a child this has been the way of life for me. Lack of sleep obviously results in a very rough day today. Falling asleep in meetings is a drag - especially when the boss mentions it in a review. How are they to know that some of us struggle daily with the ability to... simply... sleep? My wife suggested I try something that her naturopath suggested to her. On night 1 of trying this product, I slept like a baby. The best part - this product doesn't leave you with a gross 'medicine hangover.' I sleep - and am able to function the next day. This is a terrific product... and I highly endorse it to any of you looking for help in getting proper sleep = without over the counter chemicals some call 'sleep aids'. I have since started using a simple mouth device for my sleep apnea. Instead of wearing some god awful 'stormtrooper' CPAP face gear, I simply use an easily concealed nighttime 'mouth bit' to stop the snoring - like a boxer's bit. With this to stop snoring, and Kavinace to help me sleep... it's a win. Best sleep, best dreams, best next morning wake up. Spend the money on this. Give it a try. I use this with Tryptophan and Herb Pharm relaxing sleep. All work great together. This sleep aid helps me sleep later, but without side effects. I take it about an hour before bedtime. I like this product for periodic sleep support. Pretty strong. I took some around 3:30am and was just slightly woozy when I got up at 7 and had to move into my day. Taking it at bedtime pretty much ensures that I will sleep through the night regardless of hot-flashes and the usual associated insomnia. I have trouble going to sleep. Kavinace helps me relax and calms me from the stress of the day. I sleep better and wake more rested in the morning. I was having difficulty sleeping because of leg cramps that awakened me frequently during the night, I had tried all of the usual remedies for the leg cramps, such as additional electrolytes, added potassium, etc to no avail... and the sleep deprivation continued. My rheumatologist suggested I try the Kavinace Ultra PM and gave me some samples. 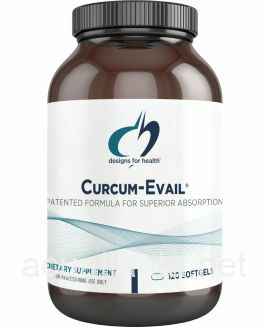 Within abut 4 days, I was sleeping uninterrupted through the night with no leg cramps, I do not know what, if any, ingredients in this product may have helped with the leg cramps. I cannot identify anything else that I did that would have caused the leg cramps to stop, but I do not want to mislead anyone by endorsing this product for that use. What I can say is Kavinace Ultra PM definitely helps me get a good night's sleep. I continue to buy this product as a sleep aid and have recommended it to several of my friends. This s an excellent product. I\'ve seen a real improvement in the quality and duration of my sleep. I had become dependent on a nightcap in order to get to sleep and really wanted to stop doing that, but even with other supplements, getting the \"okay, I\'m going to go to sleep\" signal from my brain just wouldn\'t happen. 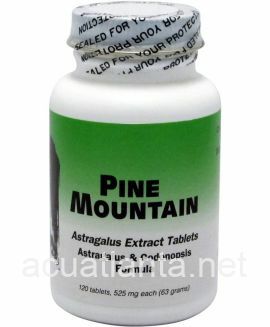 (Sleeping issues, pain, allergies) NOT BEING ABLE TO GET TO SLEEP. The very first night I tried it, within 60 minutes it was clear to me that sleep was inevitable. I slept clear through the night.and felt rested. I\'M READY TO ORDER RIGHT NOW!! Kavinace Ultra PM has become an essential part of my sleep protocol. After 2 weeks of consistent sleep without a nightcap, using this with with the rest of my supplements, it\'s clear I can rely upon it. Product arrived on time in perfect condition. Kavinace Ultra PM has been a great help in sleeping. Perfect balance to help with restful sleep and no feeling of the usual \"sleeping pill\" hangover\" that can happen sometimes. This is an Excellent product. It really helps my sleep. I have tried so very many natural sleep aids, tryptophan, melatonin, calms forte, rescue remedy, and guna which is supposed to be the best on the market. And this has been the only products that has ever made a difference. The down side is that it is extremely expensive. Hence, the discount offered was truly greatly appreciated. I hope there are more opportunity to make this very expensive and useful products more affordable. Ever since my hysterectomy 8 years ago I have struggled and wrestled every night with a good nights sleep. It helps me fall asleep and stay asleep, even through the hot flashes I\'m now experiencing with menopause. I\'ve tried everything, OTC and prescription and this is the best solution. To get a good nights sleep every night, $50 a month is a total bargain and so worth it. Off to catch my zzzzzz\'s! Great product. This helps me stay asleep and if I do wake up I am able to get back to sleep rapidly. Very easy to use and works the best out of other sleep products I have tried. I trust NeuroScience as a brand. Kavinace Ultra PM has solved my insomnia issues. After years of taking Restoril and Ativan on the lowest doses possible for sleep issues, my GABA receptors were totally destroyed. With the use of NeuroScience testing and supplements...my doctor solved my insomnia problem. 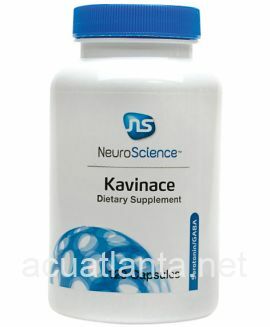 Kavinace Ultra PM rebuilds the GABA site and provides nutrition for better sleep, Thank you NeuroScience. I see a doctor in Birmingham that gave up his medical practice to study and learn about patients with Fibromyalgia and Chronic Fatigue Syndrome. 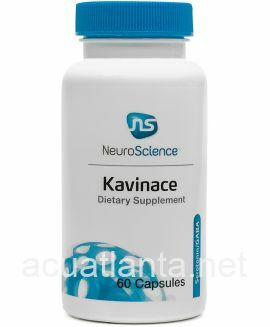 My doctor introduced me to Kavinace Ultra by NeuroScience in hopes to help me not take Ambien any longer. I take one capsule at bedtime for rest. I have always had a sleeping problem and for years fought getting a good nights rest. I am now sleeping better than I have in years. This is a great product that is natural and I love it. Kavinace Ultra is so helpful to me; I get 7 hours or so of good, solid sleep. When I awake I am ready to go! Thank you so much. I started using this with a weight loss plan and found that it does help me go to sleep and stay asleep. The fact that it is natural (and by NeuroScience Inc) is another big plus for me. From someone who hasn\'t slept well in years, this product is the first thing (including prescription sleep aids) that actually helps me STAY asleep. I\'d wake up at least 2-3 times a night and couldn\'t get back to sleep. Now I sleep right through the night 8 and 1/2 hours straight. 1 pill is all you need. Thanks NeuroScience Inc! Kavinace by NeuroScience Inc works. It has helped my son sleep a solid 8 hours. It really works, only thing I noticed that it wakes me up to empty my bladder 2 to 3 times more than normal, but am able to fall asleep right away again. Don\'t know if that has to do with anything with taking Kavinace by NeuroScience Inc. This really helps me sleep. I wish it were cheaper but when you get discounts it is a plus! Love it and highly recommend it. I've been using Kavinace Ultra PM for about 4 months and it has really helped my sleep. I take one capsule before bed time. Even if I wake up in the middle of the night I usually can go right back to sleep. Also, I have no tract of a "hang-over" in the morning when i awake. Acupuncture Atlanta is always very timely with the delivery of the products that I order. The products are very helpful to me. I first received Kavinace Ultra PM from my daughter, an acupuncturist in California. 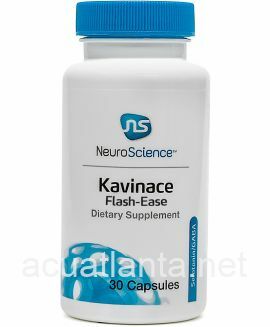 The first time I tried it - one capsule before bedtime - there wasn't much difference between it and the plain Kavinace. Coincidentally, I did awake about the same time but with a slight headache. But, several nights later, I tried it again and the results were: a couple of hours more sleep and no headache. 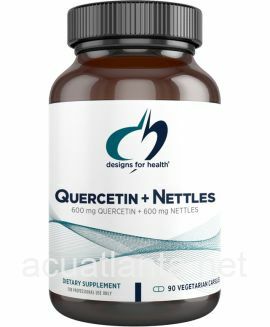 I only wish that this product was more available in local supplement stores - after not locating it on shelves, I've asked clerks to order it for me and they are unable to do it. Thus, I have gone to Amazon.com when I can't get refills from my daughter. The bottom line is that this product, though more effective for keeping me sleeping longer than the regular Kavinace, is expensive - meaning, I don't know how much longer I'll be able to afford to buy it. Any discount I can receive, would certainly be appreciated! By far the best product I have found for insomnia, in fact life changing. It also reduces general anxiousness and quiets the mind. I highly recommend it. A friend recommended this to me. It has worked so well for me, my MD husband tried it and now uses it for some of his patients for a safer sleep aid. It doesn't make me super sleepy, but just enough to get to sleep. It doesn't keep me asleep, but i don't have any problem getting back to sleep after the middle of the night bathroom break. The pills I got from you had no effect on me. It was a waste of money. I took two pills and figured I wasted my money. Another get rich program. This is an amazing product. I tried prescription medication and did not like the side effects. I could not fall asleep, nor stay asleep ! With Kavinace, I sleep through the night and wake refreshed in the morning! I've been taking this to help my sleep. Everytime I try to back off, I don't sleep well. So, I feel I'll be on it for life. This product has been the #1 factor in solving a sleep disorder I have had for over 25 years. When Amazon pulled this NeuroScience product from their online store, I needed to find it elsewhere, and Google brought me to this site. I highly recommend giving this a try if you suffer from chronic insomnia. It\'s improved my life drastically and is worth every penny. My husband had tried a few sleeping pills no success and a friend told him about this. He tried it and it works great for him. I on the otherhand tried it once when I couldn\'t sleep and I couldn\'t tell the difference. So don\'t know why that is. Anyway, he really likes it and it seems to work. Simply can not say enough good things about Kavinace Ultra PM by NeuroScience. 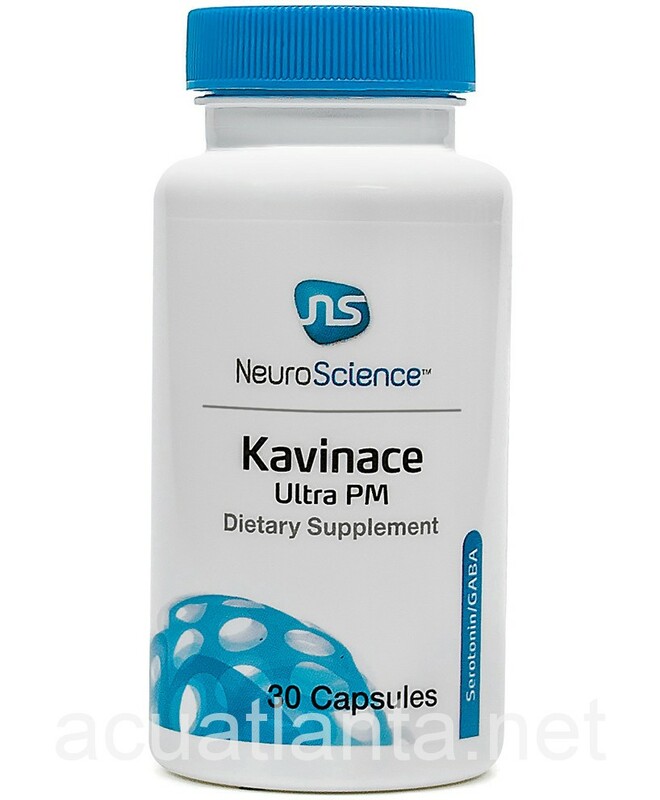 Kavinace Ultra PM is a miracle pill\"for sleeping. I was placed on this by my Dr. to aid in my sleeplessness due to Thyroid & Hashimotos. I am able to go to sleep quickly and stay asleep. I take this along with 2 Twinlab Magnesium caps. Would recommend to friends & family. I have been diagnosed with Adrenal Fatigue and have a hard time getting any rest. My doctor suggested I try Kavinace Ultra PM. He suggested I take more than 1 before bedtime which is the suggested use. I was AMAZED the first time I took them. I actually rested which is what the Adrenals have to have to heal. If I wake up in the night I take 2 more to be able to go back to sleep. I can't say enough good about these Kavinace Ultra PM. They have made me be able to get some much needed rest. My husband usually wakes up in the early morning hours and can't go back to sleep. He has started taking one when he wakes up and it helps him to go back I sleep and rest. So glad to find a natural supplement to help me rest. 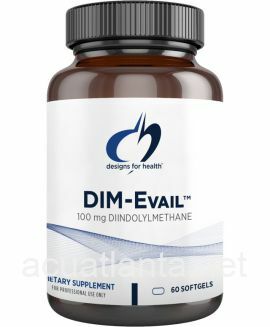 I really hope someone will run some sales on this product because it is VERY pricey, especially since I have to take so many a night, and my husband taking them also. I love this product and would highly recommend it I anyone having trouble sleeping. This is a \"miracle pill\" for sleeping. I am able to go to sleep quickly and stay asleep. I use this in conjuction with TravaCor or Noxoxil by NeuroScience. I wake up feeling rested and ready to go for the day. Allow 8-10 for for sleeping for this medication to wear off overnight. My wife and I both use Kavinace Ultra PM. We both have stressful jobs and this is very helpful when good sleep is needed. One thing I experienced is that if you don\'t sleep long enough, I am groggy the next day for a few hours. To avoid this - I just make sure that i have a good 7-8 hours available. Taking it when you have to be up in 5 hours is a mistake. I have used this product for a short time and cannot fully say whether my sleep is improved because of it. The ingredients are beneficial, and it is highly recommended by my doctor. I believe it is a great option to try to avoid pharmaceuticals which are always have detrimental side effects. Hopefully the price will come down as it is a pricey supplement. Customer who purchased Kavinace Ultra PM 30 capsules online also bought the following products which may be of interest to you.